Deacon's Choosing Day starts at 10am with the Deacon and Collector demitting office and the election of the new Deacon and Collector. We were fortunate in the outgoing Deacon having performed his duties excellently and the Incorporation had high hopes for the new incumbent. 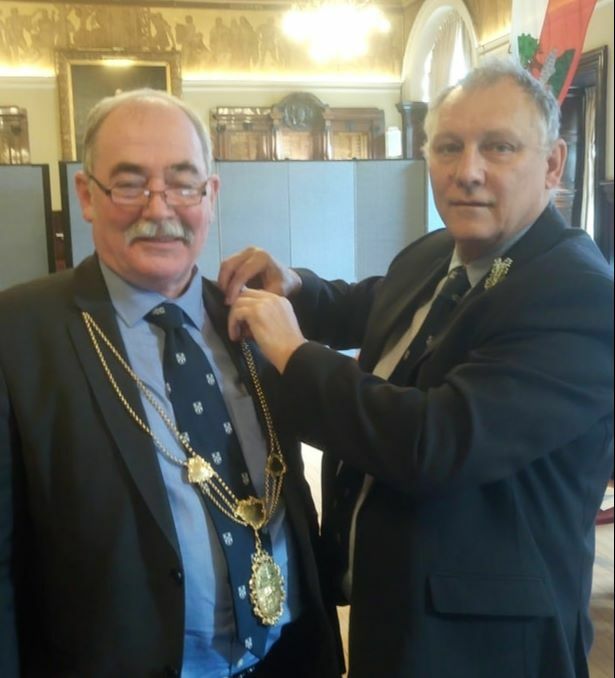 The meeting is a fairly quick affair and soon the Deacon had unchained himself and the new Deacon Gordon Weetch was installed with the Chain of Office and other artefacts of the Incorporation. The new Deacon was then sworn in by Tom Monteith, the Clerk to the Incorporation. 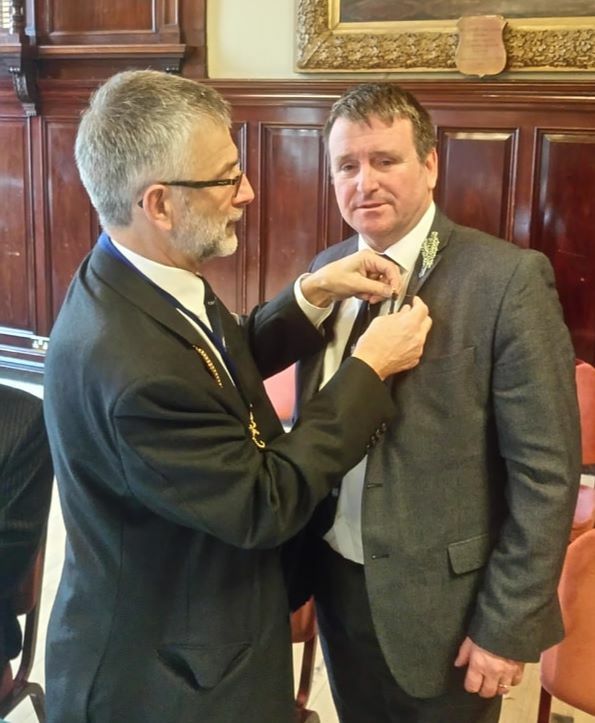 Deacon Gordon swung into action and presented Late Deacon David McLaren with his replica medal which will be worn by Late Deacon David whenever the Deacon is wearing his chain of office. Deacon Gordon commented on the excellent work carried out by his predecessor much to the agreement of all present. Deacon Gordon then received approval from the meeting to accept that the intromissions of the Collector were acceptable. Much to the relief of Collector John Brown who had carried out his duties superbly. He was therefore relieved of his position of Collector. He duly laid his chain of office on the table. 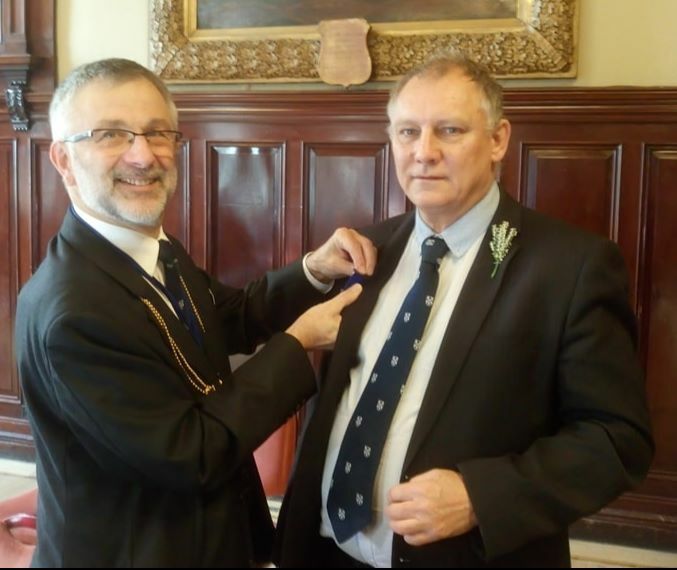 As there were no other applicants for the post, Deacon Gordon appointed David Taylor to the post. After taking the oath, Late Collector John Brown installed the Collector with his chain of office. Once chained, Deacon Gordon pinned the Late Collector's miniature medal onto John Brown. 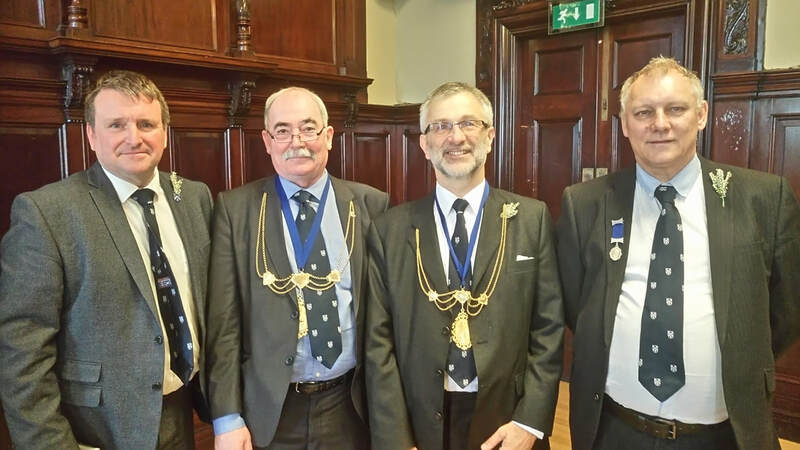 After the installation of the new office bearers, the Collector asked the Deacon Convener to visit the meeting which he duly did accompanied by the Collector of the House and the Clerk to the House. 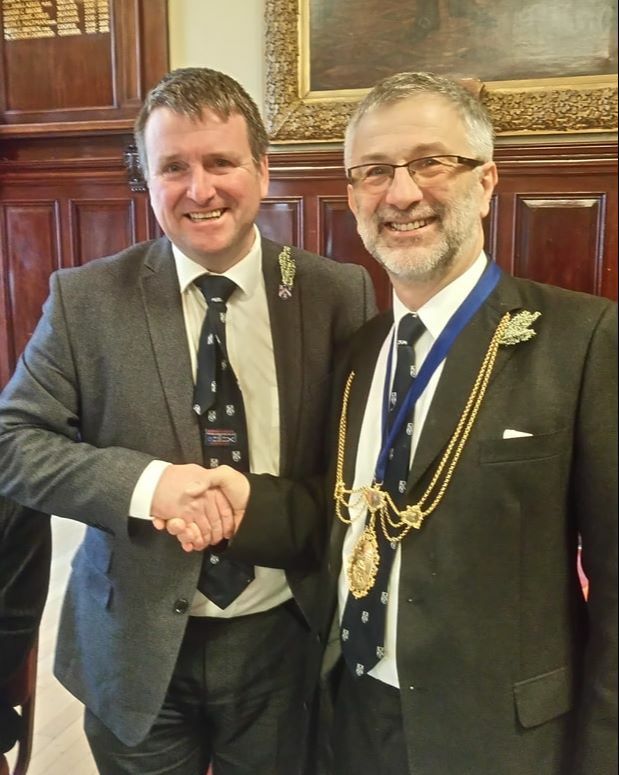 The Deacon Convener praised the work of the previous Deacon and congratulated the new Deacon on his appointment to the highest honour in his craft. They were then introduced to the Master Court and the members present. Left to Right ~ Late Deacon David McLaren, Collector David Taylor, Deacon Gordon Weetch and Late Collector John Brown.